(Guitar Educational). Spice up your blues solos with Jazz for the Blues Guitarist ! Broaden your licktionary with simple jazz techniques that build on what you already know. Expand your knowledge beyond the classic pentatonic scales with some cool jazz ideas. 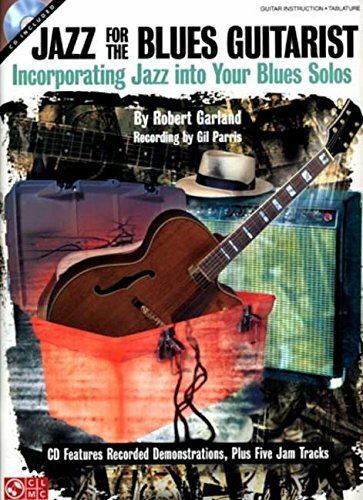 Beginning and even not-so-beginning blues guitarists can build on their basic blues techniques by exploring jazz-the modes, outside tones, articulation techniques, arpeggios of jazzy harmonies, and more! Check out new rhythm guitar techniques and stretch your harmonic vocabulary beyond basic triads and dominant 7th chords. Dozens of licks are included, as well as a CD with recorded demonstrations and five jam tracks so you can try out your new techniques over a rhythm section.